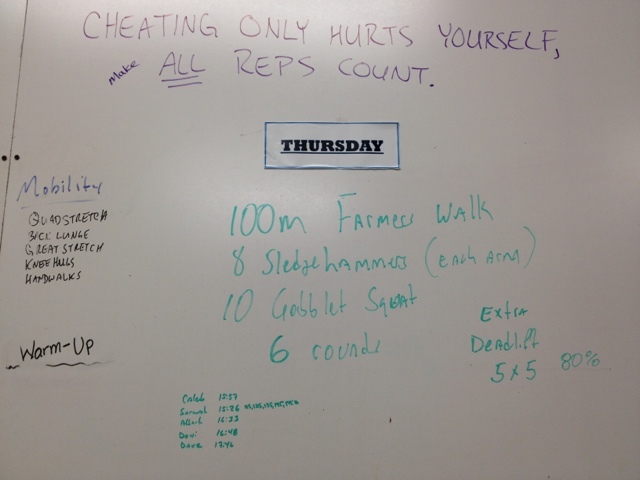 Run Bike & Forging Fitness: 01-17-13 Thursday WOD and Deadlifts! The farmer's walk works your grip and swells up your forearms, it's intense if you go heavy. 5 reps @115, 125, 135, 145 and 145 lbs. This felt really good, no pain whatsoever in my back. In two weeks time, I plan to do the same 5x5 but with each set at 145 lbs.